Six weeks before the season began, Northern Arizona realized its internal expectations matched those of the people on the outside looking in. 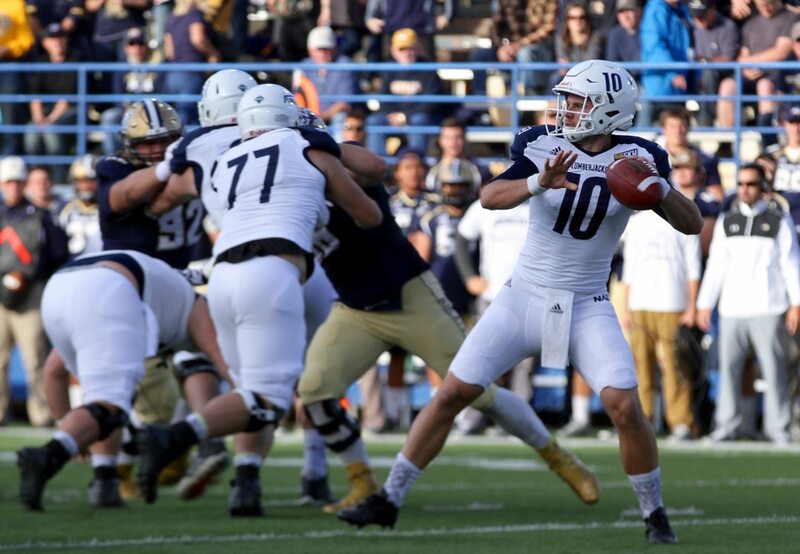 On July 19, eight Big Sky Conference media member and eight coaches named the Lumberjacks as the favorites to win their first conference title in 13 years. With the reigning STATS FCS Freshman of the Year Case Cookus throwing to a stable of wide receivers led by junior All-American Emmanuel Butler, a recipient of 15 touchdowns during the 2015 season, it appeared NAU was primed to make a run at the conference crown. “(Our expectations were) the same as they were last year and the same that they always will be: to be the best offense in the country and be the hardest offense to stop,” Butler said. It was then four weeks into the season that the Lumberjacks had to reassess that forecast. In the of a 50-35 loss to Eastern Washington, Cookus injured his throwing shoulder. In stepped Blake Kemp, a graduate transfer who experienced some success at East Carolina. What followed was an 0-2 start to the conference season and a high-pressure situation if the ’Jacks wanted to sniff the postseason. Fearing this kind of injury to its prized sophomore signal caller, NAU’s offensive coaches took a look at its depth at quarterback during the offseason. Pleased with the depth they were able to recruit behind Cookus, offensive coordinator Tim Plough and head coach Jerome Souers weren’t comfortable asking either young quarterback to take over the offense. So they brought back Kemp, a native of Chandler, Arizona who had previously thought about transferring back home. 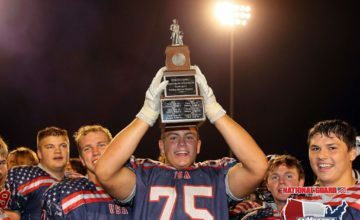 Kemp prepped at Arizona powerhouse Hamilton High, teaming with NAU senior Kendyl Taylor to lead the school to a state-record 53 straight wins that included three state titles. Though he likely wasn’t predicting an injury to his starting quarterback, even Butler took an insurance policy against such a situation. He spent a good deal of his practices taking reps with Kemp to build a rapport with the new quarterback. Kemp’s introduction to the starting role got off to a slow start: he threw two interceptions in his 12 passes against Eastern Washington as EWU turned a 36-28 lead into a two-score win. A week later at Northern Colorado, the offense managed just 18 points as two red-zone turnovers, including a Kemp fumble, thwarted any chance at evening NAU’s conference record. A week after that, Kemp didn’t throw any touchdowns and the Lumberjacks had to hold off a late Montana State rally for a 20-14 win. The offense saw true freshman Joe Logan rush for 147 yards and two touchdowns as MSU built its defensive play on not allowing Butler and NAU’s receiving corps any explosive plays. Entering the fourth week with Kemp at the controls — and no sign of Cookus’ return — the offensive coaches and personnel feel like the tide is beginning to turn. In a 52-7 win over Idaho State last weekend at Flagstaff’s Walkup Skydome, Kemp threw for 319 yards and four touchdowns. Plough has spent the last week preparing his new quarterback and the rest of the offense for a brand new Montana defense that has become more aggressive than the one he prepared for in last season’s loss to the Grizzlies.